We cut wine bottles by hand, leaving a safe to touch, smooth finish on the rim of the glass. 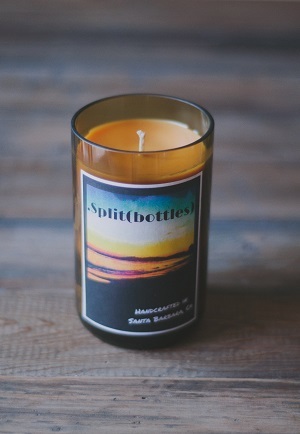 Next, we mix the wax, infuse the chosen scent (unscented available) and pour into the glass around a wick, resulting in a beautiful custom wine bottle candle. 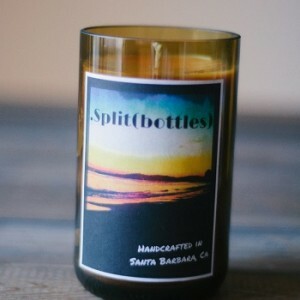 We have a variety of scented candles available, as well as non-scented candles. 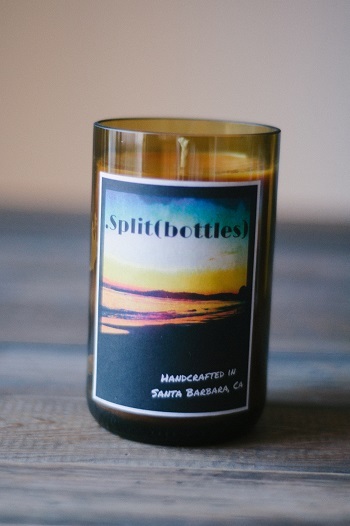 Our scented candles emit a warm, subtle aroma. Put one in any room of your home for just the right amount of fragrance. Our cotton wick candles use 100% natural soy wax. 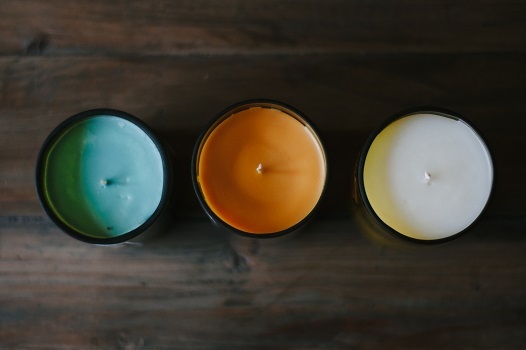 Our wood wick candles use a soyblend wax for optimal burn characteristics. Wood wick candles using 100% natural bees wax are also available.